Being a father can be a rewarding and life altering experience. It is a role that is changing to meet the needs of the modern family. According to a study published in the Journal of Marriage and Family, fathers are taking on a bigger role in raising their children. Researchers at Brigham Young University found that today’s dad spends more time, provides more care and is more loving to their kids than ever before. That study also found that dads see themselves as playing an equally important role in child rearing as mothers do. This evolving role means dads are leaving behind stereotypes and traditions and are taking on responsibilities once thought to be those of the mother. That may mean cooking, cleaning, laundry and yes, even taking kids to get a haircut. At KidSnips we understand that fathers might not always feel comfortable taking their kids to get a haircut. That’s why at all eight of our Chicago locations we have stylists trained to put both parent and child at ease. The experience can be fun and memorable. And why not kill two birds with one stone? 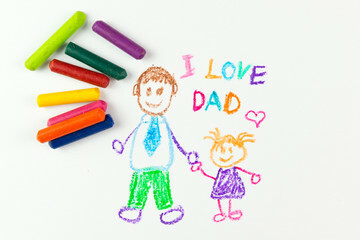 Fathers can bond with their sons (or daughters!) by sitting side by side and getting their haircut together. What a great way to celebrate this Father’s Day!